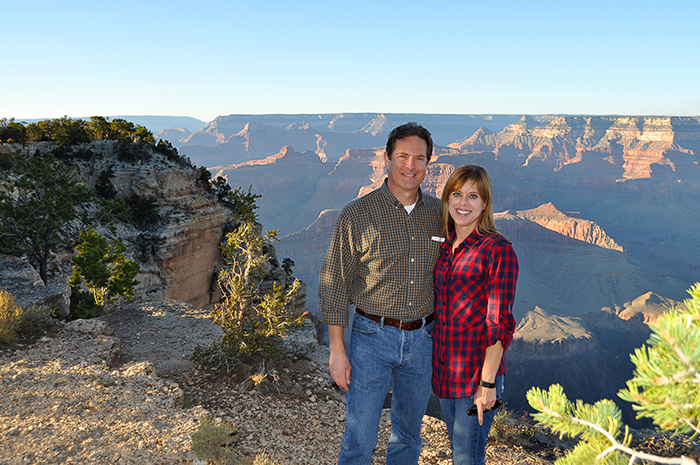 AeroGraphics owners Lisa and Jim Werner on location for a photoshoot at Grand Canyon National Park. Serving the souvenir and gift markets since 1997. AeroGraphics is a family-owned company that offers both custom and stock merchandise to the wholesale trade. From souvenir books to reusable shopping bags, calendars to playing cards, we create custom products to fit specific markets and budgets. We also carry NASA and Planetary related stock merchandise. We print in the USA as well as overseas.